I love my Kitchenaid stand mixer. Since I bought it, I’ve been baking up a storm. A storm of bread, that is. 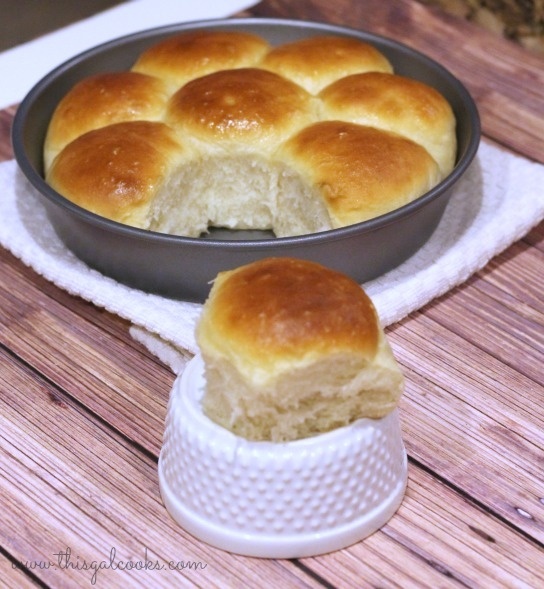 I’ve been trying all sorts of bread recipes so I decided I wanted to make some dinner rolls. And not just any dinner rolls. 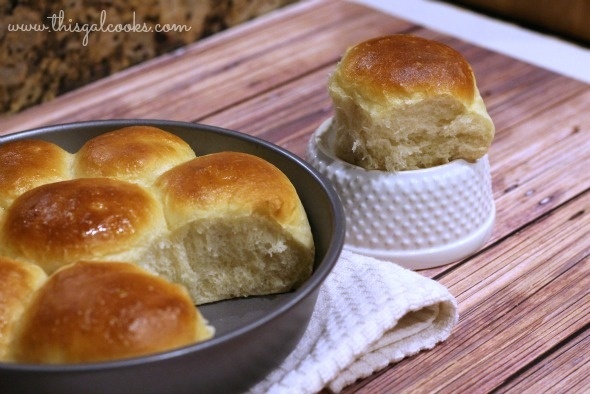 Honey Butter Dinner Rolls. Yum. I bet your mouth is already beginning to water. I mean, who doesn’t love the thought, or taste, of honey butter. And honey butter on dinner rolls? Fantastic! The awesome thing about this recipe is that if you want to make hamburger or hot dog buns, you can easily shape the dough into either a hot dog bun shape or a hamburger bun shape. And if you don’t want honey butter hamburger or hot dog buns, you can easily sub the honey with sugar. I found the inspiration for this recipe on Averie Cooks. I hope you enjoy my recipe and be sure to check out the original recipe as well. Enjoy! In the bowl of a stand up mixer, combine the yeast and water. Allow to sit until the mixture becomes foamy. In a sauce pan, combine the milk, honey, butter, shortening and salt over low heat. heat until the butter and shortening are just melted. Please note, the shortening may be lumpy. That's ok. DO NOT BOIL. Add the milk mixture and the beaten egg to the yeast mixture.Beat on low speed with the flat attachment for about 30 seconds. Ad 3¾ C of the flour to the mixture and beat until well combined. Remove the flat attachment and add the bread hook attachment. Knead for 8/10 minutes, adding the remaining flour until the dough no longer sticks to the sides of the bowl. Be sure to add small amounts. If you add too much, your rolls will end up dense rather than light and fluffy. Remove the dough ball from the mixer and place into a large, oiled bowl and cover. Allow to rise for 1-2 hours or until double in size. Punch the dough down and shape into a ball. Cover and allow to rest for 10 minutes. On a floured surface, roll the dough into a long tube shape and cut into 16-18 pieces. Shape into balls and place into 2 greased round cake pans. Cover and allow to rise for 30 minutes or until doubled in size. Bake at 400 for 10-15 minutes, or until the top is golden. Meanwhile, combine 1 tbsp melted butter and 1 tsp of honey. Once the rolls are done baking, remove from the oven and spread the honey butter mixture on top. In order to prevent the dough from sticking to your hands, coat your hands with flour before handling the dough. Yes you are baking up a storm! If it were me I would have already packed another ten pounds on my thighs– I just can’t resist homemade bread. : ) I think your rolls look wonderful and I like the thought of hamburger rolls. Or maybe using these as slider rolls. I’ll let you know when I try it. Delicious! Can’t wait to make these! These look so soft and sound amazing. Making these this weekend to go with roasted chicken! YUM! Are you sure the amount of flour is correct? This just made a batter, had to add at least two more cups of flour to form a ball. Rising now so I’ll let you know. Yes, the amount of flour was correct. If you add too much, you are going to end up with dense rolls. You should initially add about 3 3/4 C and then gradually add more until your dough is elastic and doesn’t stay stuck to the bowl. It will be stick to your hands and the counter, though, so as per my notes, dust the counter and your hands before handling the dough! Let me know how they turn out! They came out wonderful! Had two pans I used as slider rolls. And had dough to make some cinnamon rolls. Will try this again.